Meeting our youngest sons for the first time in the Congolese orphanage. Where do you see injustice? We saw it in our adoption process. There was this government office we had to get adoption papers through in Congo, and our lawyer via our agency rep asked for $400 per child. We were adopting two little boys; so yes, that’s another $800 on our already costly international adoption. 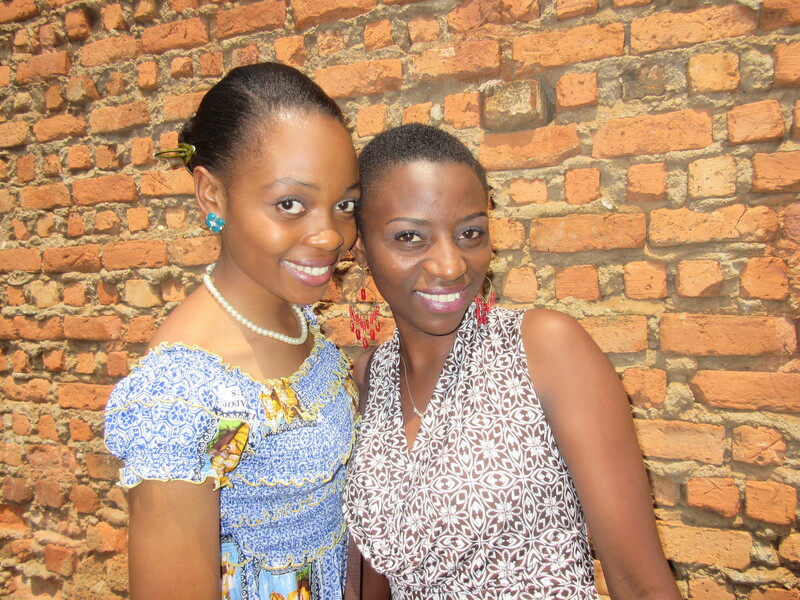 My dear friend Bintu (and her sister) were hosting us, and I mentioned this next step. She was appalled. She was angry. She showed me the big sign on the front of that government building and translated it for me. The services were free. There were no fees. Bintu took over getting our paperwork for us. At the next meeting with our agency and the lawyer we told them that our friend was getting our papers. We didn’t mention that they were supposed to be free, but the lawyer was not happy. We started waiting the days for the paperwork, and Bintu’s brother-in-law helped us. He found out that the lawyer had accused Bintu of doing thing illegally so our papers would have to be investigated. God only knows how much and how many times he bribed the officials in that office, and how much of the money he was pocketing for himself. He didn’t create this paperwork or add anything to it. He simply delivered the folders of documents from 5+ adopting parents to that office. 10 minute job, tops. Injustice. There are over 50 verses in the Bible dealing with justice, both our role in seeing justice done and God’s role in carrying out judgement against those who practice injustice. Reading these makes me fear for those office workers and that lawyer. Reading these makes me fear for those office workers and that lawyer. He had bragged to the orphanage administrator that he made $8000 on each adopted child. This all helps me understand the struggle Bintu has had to found our education center, to file papers for nonprofit status in Congo, even to open our bank account. I am so grateful for her work and for the fights she has made to uphold justice on our behalf personally and on behalf of all the children and families we serve in the name of Jesus in Congo. Check out all the amazing things God is doing through her and her staff. Because of Bintu, we were able to reveal to the agency what the lawyer was doing, and he no longer takes advantage of adopting families. Bintu helped the agency find an honest local lawyer to take up the cause of the orphans going to forever homes. Art news from our nonprofit. So proud of our students and staff. Click through to see the artwork! The moment I saw the news, I knew I would have to write about Ali, about our connections however tenuous. At first it was impossible to put my thoughts together. All week long news feeds, photos, quotes, and videos about him drew me away from whatever else I was working on. My last post about the connections I keep seeing between world events and my life was in my mind (Inside the UCLA Shooting). When as a child I heard Muhammad Ali say he was “The Greatest” I believed him. Why wouldn’t I? My Mom and Dad, two of the greatest people I knew, were both born and raised in Louisville. My grandmothers both lived there where I spent numerous holidays and weeks of summer vacations. My brother watched Ali’s fights, rooting for the most famous of Louisville’s favored sons. Great people came from Louisville. Why not the G.O.A.T. (Greatest Of All Time)? Born January 17, 1942, Cassius Marcellus Clay Jr. was 13 months older than my father. I grew up thinking they attended the same school, or that perhaps my grandmother, a local teacher, taught young Cassius who didn’t change his name till 1964. As it turns out, I was wrong on both counts. My youthful imagination already made stories. Until hearing about Ali, it had never occurred to me that you could change your name to anything you wanted. To me that was pretty darn cool. Despite my youthful error, there are a couple of connections. Angry about a stolen bike, Cassius ran into a local gym where cops worked out. Telling Sergeant Joe Martin how he wanted to whip the thief, Martin told the 86 pound 12-year-old that he should learn how to fight first, and Martin became his first trainer taking him up to his Golden Gloves days when my father first hear of him. Since my grandfather was the superintendent of the traffic division, he was Officer Martin’s supervisor at some point earlier in his law enforcement career. Certainly, I remember the news coverage, and the brutality of the Alabama police, but south Alabama is so far removed from Kentucky, and I don’t mean just in road distance: I mean culturally as well….In Louisville…the schools were desegregated in 1957 without incident (to my knowledge). I was in the seventh grade at Shawnee Junior High, and the integration of black kids into our classes, lunchrooms, and gym were a non event. 15-year-old Cassius must have had a slightly different experience of racism from those raised in the deep south. Certainly whites-only restaurants persisted, like the one Ali was turned away from not long after returning home with his 1960 Olympic gold medal. (He said the medal was lost and not thrown into the Ohio River in anger, debunking an oft-repeated urban legend). Outside the ring, Ali’s refusal to submit to the Vietnam draft was one of the biggest news stories of his young career. My father remembers, “He and I both had to appear for our draft physical on the same day. The only difference was that I was standing in line with fifty or sixty other guys in our underwear waiting to see the doctor, when he came down the hall with his attorney, and went right in. He was already famous by then.” Gee, I hope they didn’t interrupts anybody…coughing. The coverage of Ali’s boxing career and rise to fame was everywhere on the web this last week. What strikes me, though, is what he did with that fame and admiration. Certainly he used it in the civil rights movement. Some speculate that it was his first trip to Africa that opened his eyes to his larger world-wide influence. His “Rumble in the Jungle” against George Foreman in Kinshasa (where we adopted our younger sons) is humorously titled in my opinion when I think of how large the city was even at that time. He road through the streets sitting behind the sunroof of a slow-moving vehicle, hands stretching out to meet the thousands reaching for him. That I cannot relate to. However, I know what it’s like for Africa to open your heart, take a piece, and never return it. Co-founding Future Hope Africa in the DR Congo and sponsoring two Ethiopian children’s education and welfare through Compassion International are two of the ways I answered the call to make a difference. Ali answered a call as well, and I wish there was more information on Muhammad Ali’s philanthropy work being tagged and shared. That is perhaps where his greatest legacy remains. In his retirement, Ali devoted much of his time to philanthropy. Over the years he supported the Special Olympics and the Make-A-Wish Foundation, among other organizations. He traveled to numerous countries, including Mexico and Morocco, to help those in need. About a week and half ago I was browsing the sports section of our international school library in The Netherlands picking out books for my children to read this summer. A few days later we woke to the news that Muhammad Ali had died. “I just brought a biography home for the kids to read about him,” I said. My husband responded to my angst with, “You didn’t kill him by checking out that book.” What a coincidence though. Many of my cousins still live in Louisville, and they took their children to stand along the funeral route Friday and then posted photos of the historical procession to Facebook. Muhammad Ali is buried in Louisville’s Cave Hill National Cemetery, a last crossroads for us. In college I remember navigating the 296-acre cemetery, taking lefts at most forks in the narrow road till I reached a right-hand turn near the brick, back wall. From that winding bit of pavement, I spotted my grandmother’s stone, stopped the car, and laid flowers before wandering to look for nearby relatives. Perhaps the next time I visit I’ll wander a bit farther, see the grotto, take my children to feed the ducks at the pond, and pay my respects at the grave of Muhammad Ali. I will tell them how he was much more than a boxer, how he fought for the rights of himself and others, how he used his fame to help poor and oppressed people around the world, and how The Greatest defined being great. During his boxing days Ali said, “I float like a butterfly and sting like a bee.” It’s one of his most famous quotes. I like this other one better myself. Hana Ali repeated these oft spoken words of her father. 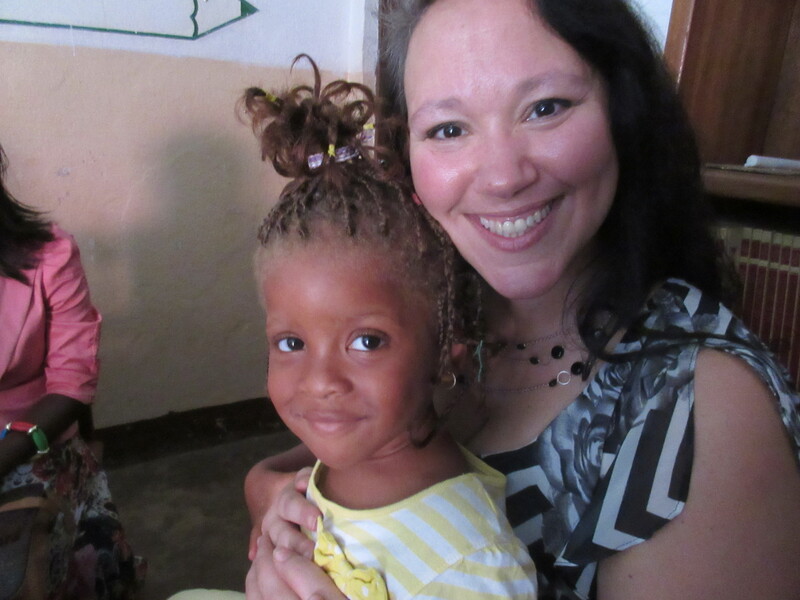 Kristin King is a native of Kentucky, an author, and co-founder of Future Hope Africa. She is working on her third novel and closely monitoring the crowdfundraiser her nonprofit is running for Vacation Bible School in the Congo where for a limited time your gift will be doubled! She encourages others to “answer your call” whatever it may be. Tags: Ali's stolen bike, black youth and white cop, Cassius Clay, Cave Hill National Cemetery, desegregation stories, Did Ali throw his Olympic medal away?, Does Selma represent America?, Famous people from Kentucky, Famous quotes by Muhammad Ali, float like a butterfly sting like a bee, Future Hope Africa, Golden Gloves, Joe Martin, Kinshasa DRCongo, Kristin King Author, Lesser Known Quotes of Muhammad Ali, Louisville, Muhammad Ali, Muhammad Ali Vietnam, Muhammad Ali's Parkinsons fight, Muhammad Ali's peace work, Muhammad Ali's philanthropy, Muhammad Ali's Presidential Medal, Rumble in the Jungle, The Greatest, The Muhammad Ali Center Louisville, The Muhammad Ali Parkinson's Center, The Ohio River, What did Muhammad Ali mean by the greatest, What does G.O.A.T. mean, what is greatness?, Where is Muhammad Ali buried, Who was the greatest? Public transport in Africa is fairly diverse. 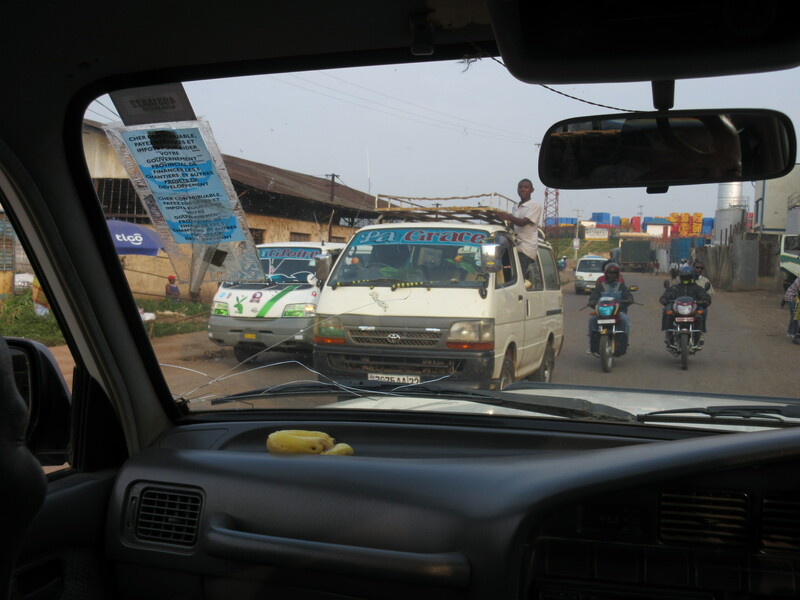 These were just some of the options spotted in East Congo during my trip to our educational mission. 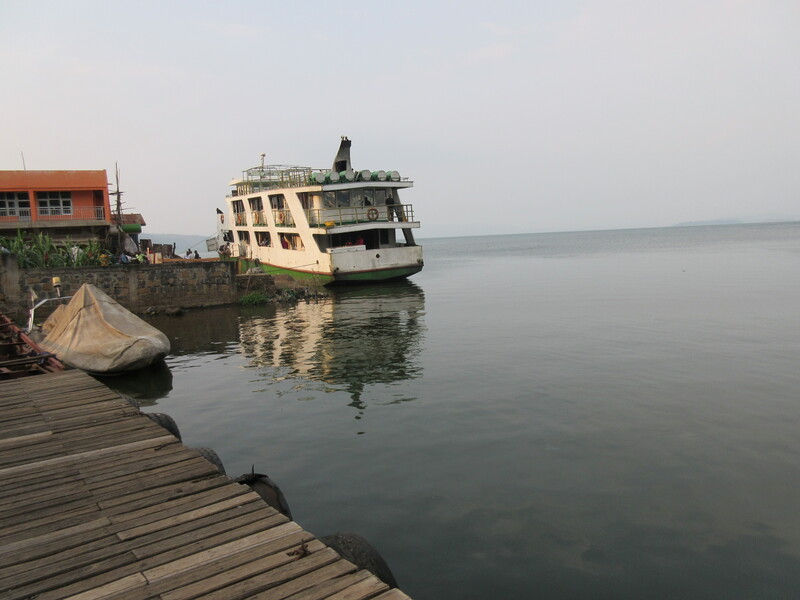 Hop on a cargo truck, take a ferry up Lake Kivu, pay the man hanging out of the white bus window, or get through traffic the quickest on the back of a moped. I confess the only one of these options I sampled was the white bus. I couldn’t locate these photos when I blogged about our young ladies in “P is for Princess” but I still wanted to share these terrific gals who are part of our mentoring club or school sponsorship in East Congo. Our nonprofit, Future Hope Africa has already made a brighter day working together with these students. –Dr. Kristin King, President and Chief Hugger for FHA. 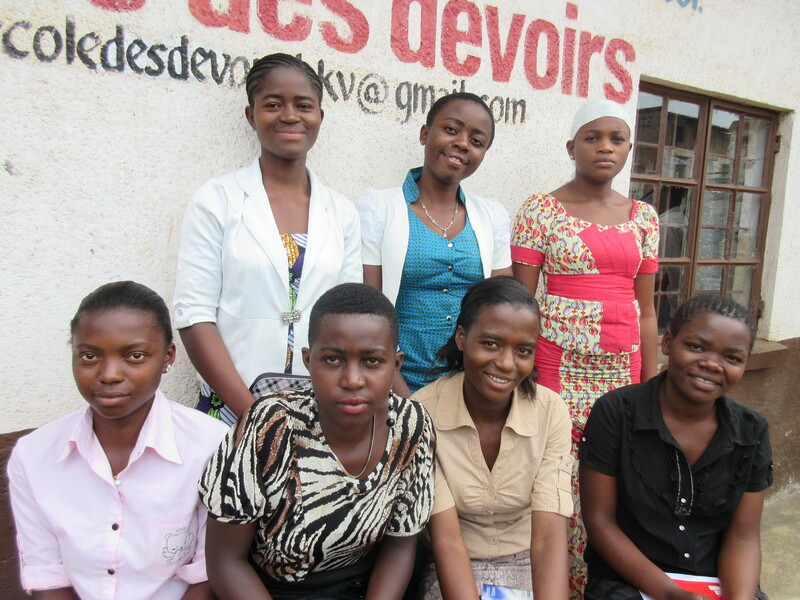 Some of the FHA Princesses who are continuing their education thanks to sponsorship. Two students whose friendship was torn apart in the past and then reconciled in the Club Princesses. Their testimony will be coming to a new Future Hope Africa youtube channel in the future. A young woman who was forced to end her schooling a number of years ago, but she is now learning the trade of tailoring thanks to sponsors through Future Hope Africa. God’s Princesses are never too young to find they are welcome at FHA’s Education Center in East Congo. Our hosts’ daughter was coming home from a wedding the day we arrived. Wow! One of the most delightful souvenirs you can bring back from the Congo is a new outfit. Choose from hundreds of fabric options at the textile market. Then visit the tailor and choose from hundreds of dress styles. Mix and match skirts with tops. Bring a shirt you like the fit of and have the tailor make you another in fabric of your choice. My favorite outfit from DR Congo. When picked up our younger sons a few years ago, we had matching shirts made for all the guys and a coordinating skirt for me. The family picture we took that year is the one from which I cropped my head-shot for all social media. Talk about a terrific Christmas card photo! Tailoring is also big business in a culture where special events like weddings, anniversaries and honoring fests may see every member of the family getting the same fabric and having an outfit made for the gala. Seriously–sometimes there might be a 100+ people getting things made for the big event. Forced to quit school years ago, this young woman is now training to be a tailor thanks to sponsors through Future Hope Africa. A shot of just one booth at the fabric market.